A guide for updating your credit/debit card details within the Pipe Ten hosting control panel. How to Pay for your hosting services with PayPal. How to update and check your billing profile. 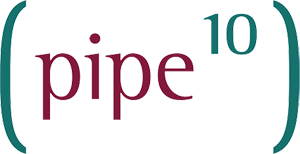 A guide for checking your historical payments with Pipe Ten. How to remove your payment details from your billing profile. How to switch from monthly or yearly payments and vice versa. A guide to upgrade or downgrade your hosting package. How to view and download your invoices from the Pipe Ten hosting control panel. When adding a resource to your hosting account you may encounter the following error message; Status: NOTAUTHED 2000 : The Authorisation was Declined by the bank. How to add a new hosting package to your existing hosting login. How to see up and coming payments within the hosting control panel. All the payment methods we accept. How the Pipe Ten billing periods work. How to close your hosting account with Pipe Ten.